Your board president wants you to delay this year’s expenses until next year to put HOA finances in the black. A friendly vendor has offered you tickets to see your favorite sports team, plus dinner at a steakhouse. Should you say yes to both and walk on squishy ethical ground? Say no to both and risk isolating yourself from clients and partners? These not-so-uncommon scenarios can put your reputation at risk. CMCAs serve many masters – You might work for a management company, while serving client communities. Your bosses are also the board members that hired your company. You work with vendors each day. Still, your most important commitment is to the CMCA code of ethics and to the industry knowledge that brought you this far. Good CMCAs keep this in mind as they manage and communicate about HOA finances. Here are some ways working with different “masters” can pose financial dilemmas, and what to do about them. Working with boards — Although it’s rare, a board member may ask a manager to falsify financial documents by recording expenses in the wrong month or by otherwise moving money around. The board member might also ask you to reduce the association’s bad debt allowance to make the books look better, a step that should never be taken without board approval. When in doubt, turn to generally accepted accounting principles or call your association’s accountant. Don’t be afraid to stand up for what’s right; it will pay off down the road. Provide boards all the information they ask for. 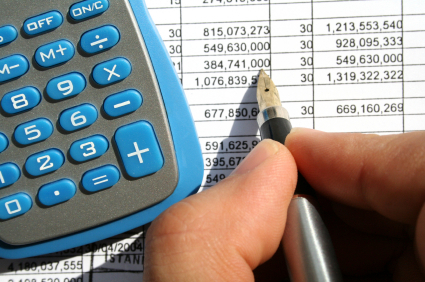 Provide financial statements on a timely basis. Provide to board members copies of invoices paid. Never pay yourself, but have your payments come from a third party. Get dual signatures on all checks. Cavanaugh has seen several cases in which managers were lied to by their bosses. Their bosses were, in turn, misappropriating funds. Working with vendors — While it’s okay to accept tickets to a ball game, it’s not okay to accept an all-expenses-paid trip to Las Vegas, plus gambling money. Better yet, refer to your company’s policy on vendor gifts. Don’t have one? Suggest it to your manager. Your turn: What are your best internal controls? What is your company’s policy on gifts? Have you ever found yourself in a sticky financial situation? What did you do?